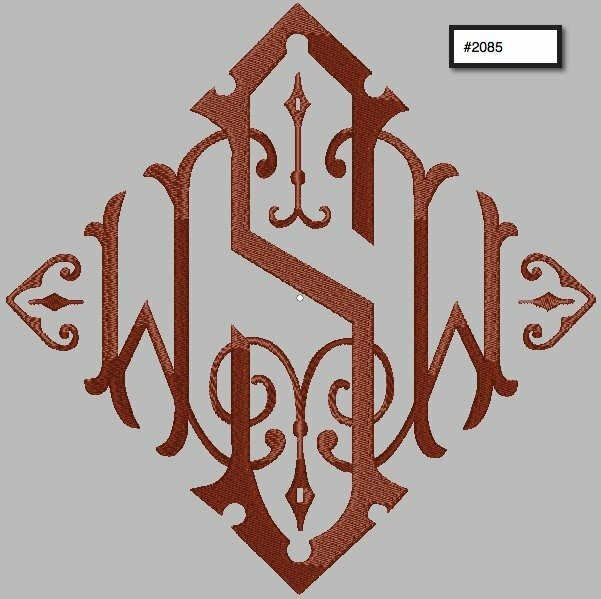 This order is for a Monogrammed Duvet Cover by Janes Wilner Designs. 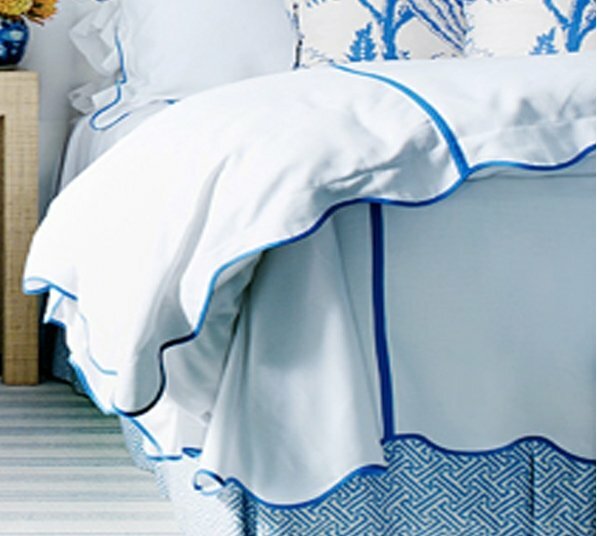 This is not a coverlet but a duvet cover( you to add a comforter inside the duvet). Most of the time they are then folded up at the end of the bed. Note if you choose the Matelasse it is very heavy The pique fabric will make a lighter duvet. Choose your fabric and your trim choice. The options allow you to match thread for the monogram to the tape. If you choose an embroidery scalloped edging you must choose an embroidery thread. If you want us to match a swatch please mail it to us after you place your order and we will match to almost any choices. Choose your font for your monogram. If you are choosing a font that requires 2 colors please add both color names in the comment section. 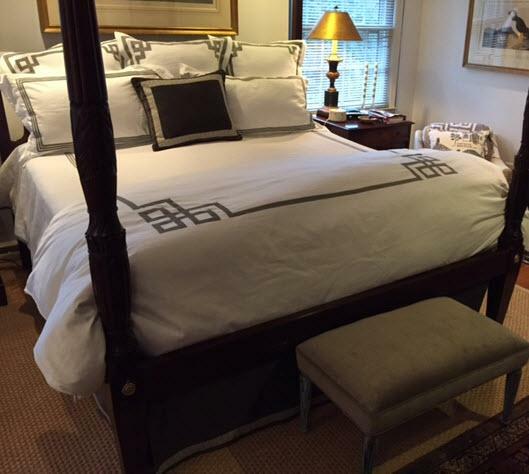 The image on the bedding uses our Fretwork choice 5w fretwork with 1 inch wide tape. You can add Euros, shams, neck rolls, and many other choices in fun fabrics for your bedding. Stay in the Jane Wilner Gallery areas for a matching bed skirt in a fun pattern. Please allow about 6-8 weeks for your custom Monogrammed Duvet Cover. Price: $530.00 In stock! - Browse this brand: Jane Wilner DesignsOur products are custom made to your specifications. This product ships up to 7 weeks after your order is placed. 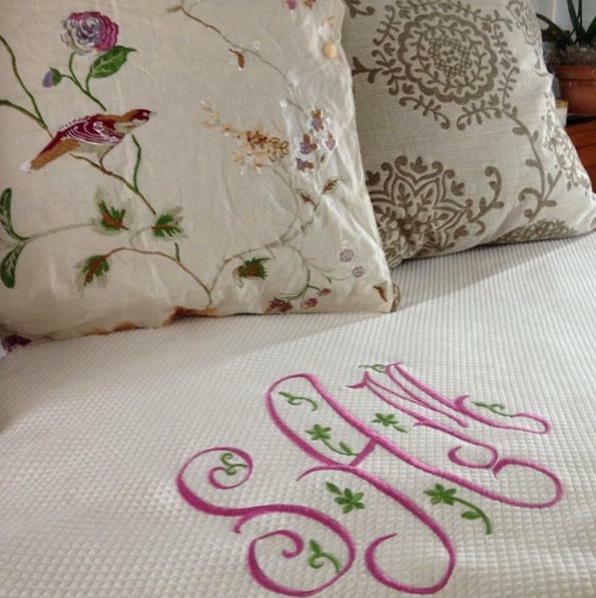 Choose your size for your Monogrammed Duvet Cover. Pricing is relfected in the size of your duvet cover. 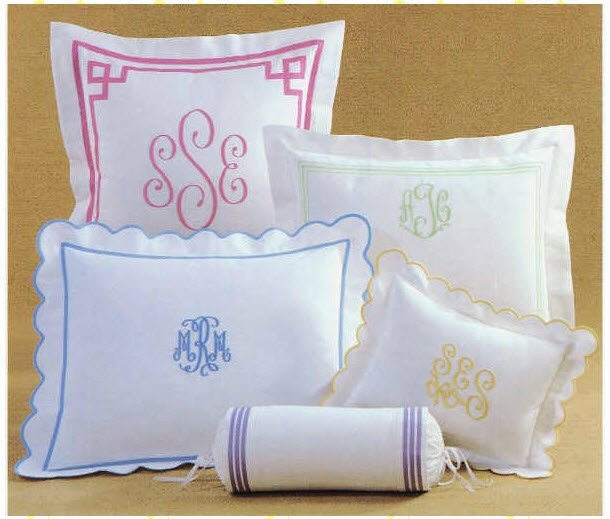 Your duvet will include a 12" Monogram in the price.